Your children are our special focus. At West Point Ballet they will not only learn to dance, but increase their physical fitness while expanding their artistic horizons. They will also forge friendships that will last a lifetime, and be a part of a community that will support and enrich them as they develop. The WPB training philosophy is to provide excellence in dance education at the same time as nurturing the individual. We strive to create an atmosphere based on mutual support and respect where every dancer has the opportunity to grow as a person and as an artist. Even our very youngest students are expected to learn in every class – we prepare our curriculum carefully so as to ensure the students are equipped to progress. 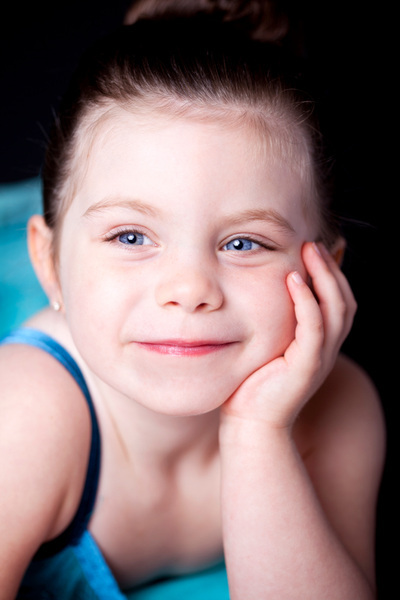 *3 things every parent should know before choosing a dance school. There are 3 main things that can make a huge difference in the quality of instruction your child receives, and the overall enjoyment and satisfaction of being involved in a dance program. Dance is a very physical activity that requires a great deal of jumping, which can put stress on bones and joints. The best way to assure a safe dance environment for your child is to choose a school that has a professional sprung floor. A sprung floor is a dance floor that rests on a base of high-density foam, to absorb the shock of jumping. West Point Ballet's studios are equipped with professional sprung floors to help reduce the risk of injuries in our students. If a dance class has fewer students in it, each child will receive more personalized attention, learn more, and have more fun. In a small class of younger students it is easier for a teacher to maintain control over the class and make sure each student understands the concepts and instructions. A small class size also allows teachers to ensure that students are developing proper technique. Our small class sizes make sure that no fundamental concepts are missed. 3. Does the school follow a curriculum? Choosing a dance school that uses a clear syllabus will help your child learn, understand, and ultimately develop a better appreciation for dance. Schools that use a syllabus not only produce exceptionally stronger dancers, they also encourages self-discipline, respect, and excellence through team work. Tuition is based on the School year, and 5% off if paid IN FULL at the time of registration. If this is not possible, monthly installments may be arranged. Installment payments are due the first of each month. A $15 non-refundable registration fee AND the first month’s tuition (if paying by installments) are due at the time of registration. No matter the number of days or weeks in the month, monthly payment is the same amount for each month. Students will not be allowed to participate in class if tuition fees are not paid-in-full. Students no longer wishing to take class MUST cancel one month in advance. If not, tuition will be charged for that month. Although we know that getting to class in the afternoon is sometimes difficult, it’s important to get your student to the studio in time for class (or 10-15 minutes early, if possible). If a student is more than 10 minutes late for class, they will not be allowed to participate due to injuries that may occur when warm-ups at the start are missed. Please make sure that your dancer has the proper fitting shoes for whatever class they take. It is especially important to monitor young children’s shoes, as they grow quickly and you need to make sure the shoes always fit properly. Please ensure your dancer has the right shoes for the right class. (See dress code for your division). Elementary, Intermediate and Advanced divisions are required to have ribbons on their technique shoes. West Point Ballet trains from a traditional and classical syllabus in which it is the standard attire for girls. Ribbons create a better aesthetic for the visual art of ballet. In order for all dancers to get the most benefit from their class, they are expected to show respect for their teachers by arriving to class on time, being quiet and attentive, and concentrating on what they’re learning. The teacher will go over the rules of the studio and behavior expectations at the beginning of every semester. Running is not permitted, for everyone’s safety. Students may not bring food into the dressing rooms – crumbs and trash invite unwanted pests. All students need to make sure that they use the cubbies and keep their belongings contained. Please write the student's name in as many items as possible. Valuables are best left at home - the center cannot be responsible for missing items. Each child develops at a different rate. Young bodies grow differently and growth spurts (or the lack thereof) can definitely affect a student’s technique. Rather than comparing themselves with other students, try to have your child think about where s/he was a year ago and see how far they’ve come since then. Students might spend more than a year in the same level, or be moved up in a faster manner, which is perfectly normal. Each child matures and develops at different rates. They won't move up until they have accomplished the technical requirements for their level. Again, parents are welcome to schedule a time to talk with their child’s teacher if they have any concerns. If you would like to talk to us, the best way is to send an email to info@westpointballet.com We strive for 24-hour turnaround for email and phone responses. We are also very interested in feedback regarding all aspects of our program – please let us know what you think! At West Point Ballet, we work very hard to create an atmosphere of mutual support, caring and respect, and everyone is expected to behave accordingly.